Do you have an old tarot deck tucked away in your apartment? Are you interested in learning tarot but aren’t sure where to get started? Or, maybe you’re a seasoned reader wanting to test your skills with other readers and heighten your tarot reading abilities?! On April 4th, our Soho location will host a free meetup for those interested in tapping into their intuition and mingling with other NYC based tarot readers. 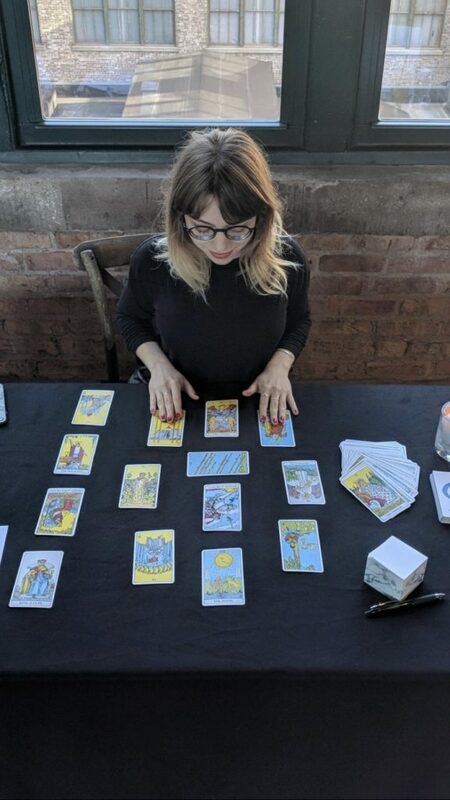 Hosted by Calley Nelson (@extraordinarytarot), this demo and meetup will discuss tarot best practices and how to provide an elevated tarot experience when reading for yourself and others. Based in Brooklyn, Calley Nelson reads cards for people from all over the world under the moniker Extraordinary Tarot. She has been practicing and studying tarot for over ten years.